Let’s fly. 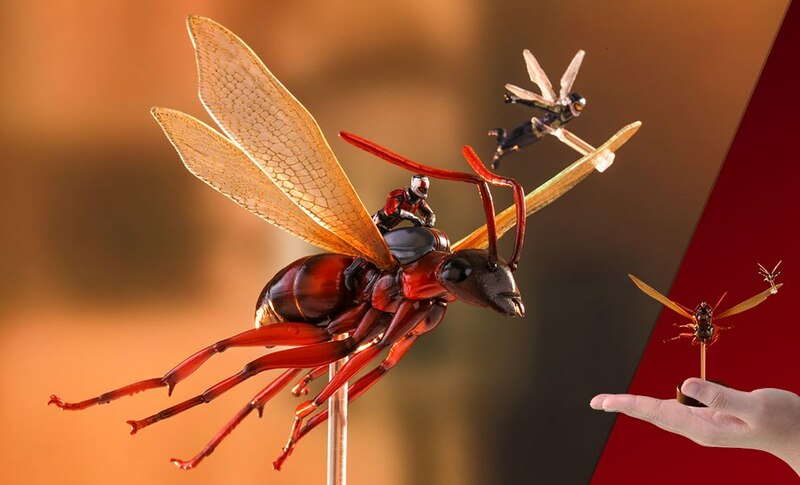 Marvel Studios’ latest superhero blockbuster, Ant-Man and the Wasp starring the titular shrinking heroes and the new flying ant pal currently in theatres. 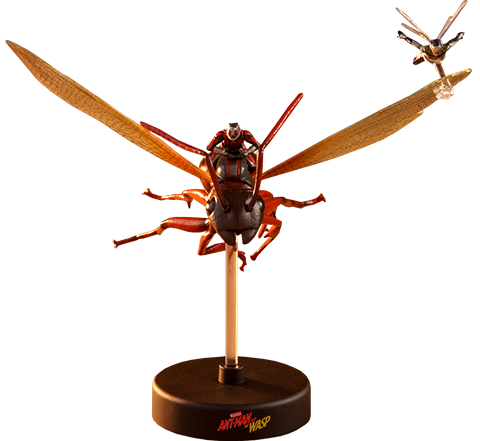 On an urgent mission, Scott is at the pier trying to call for a flying ant and get across the water, but his plan keeps on interrupted by one of the other biggest threats in the film – the seagulls. 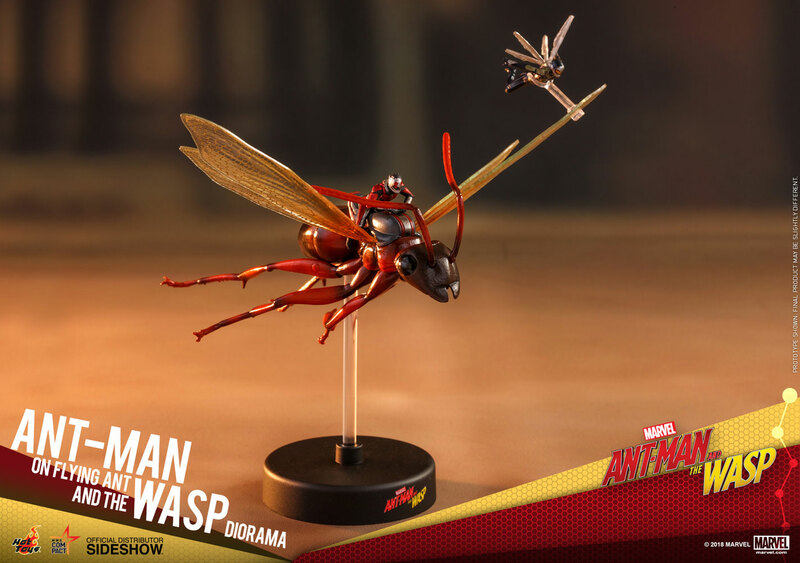 Sideshow and Hot Toys are very excited to expand your Ant-Man and the Wasp collections with a brand new collectible set featuring Ant-Man on Flying Ant and the Wasp Diorama. 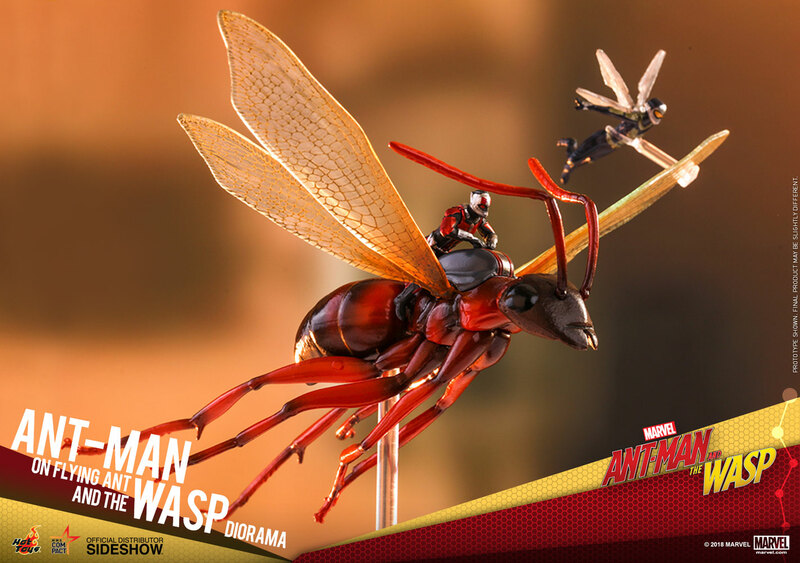 Come hop on to Ant-Man’s flying buddy along with Ant-Man’s new partner, Wasp, for the best ride of this summer! 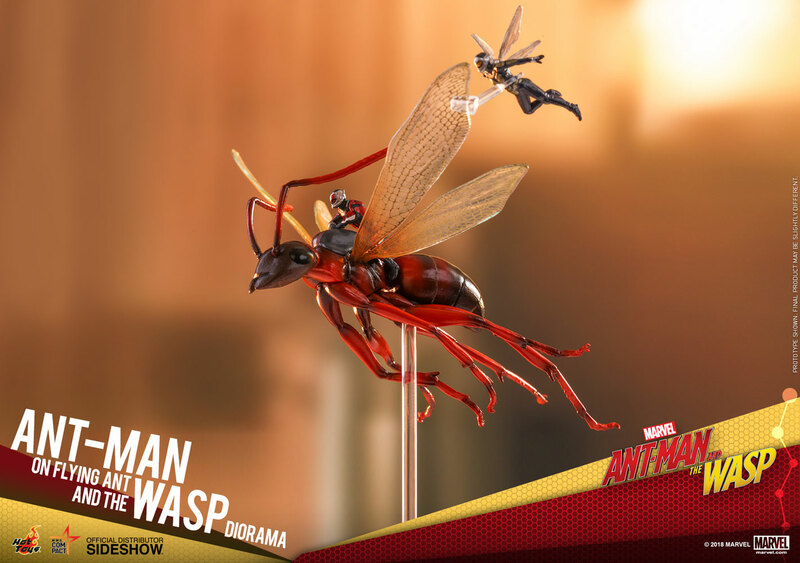 This is a great piece by Sideshow and Hot Toys. 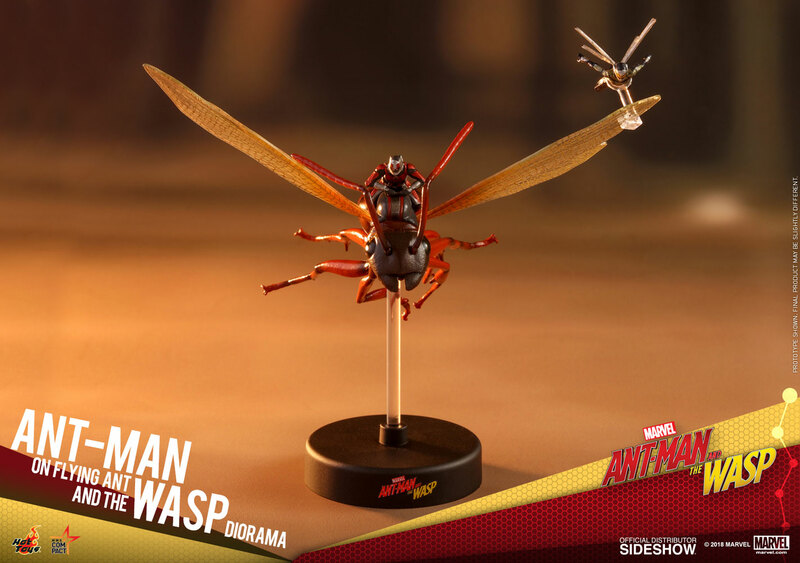 Displays well and looks amazing with great detail and sculpt. Highly recommended if you're concerned about space or if your display needs a great accent piece. Highly recommended and an A++ for me :). Great Item and looking forward to receiving my items on order. Thanks!